Local Distribution System © (LDS) Create a local travel network. Full access to a secure Member’s Area to manage bookings and guest communications. The BookingCenter Local Distribution System © (LDS) creates an exciting community model around local travel networks by creating a Central Reservation Service that generates funding for local development and tourist programs. 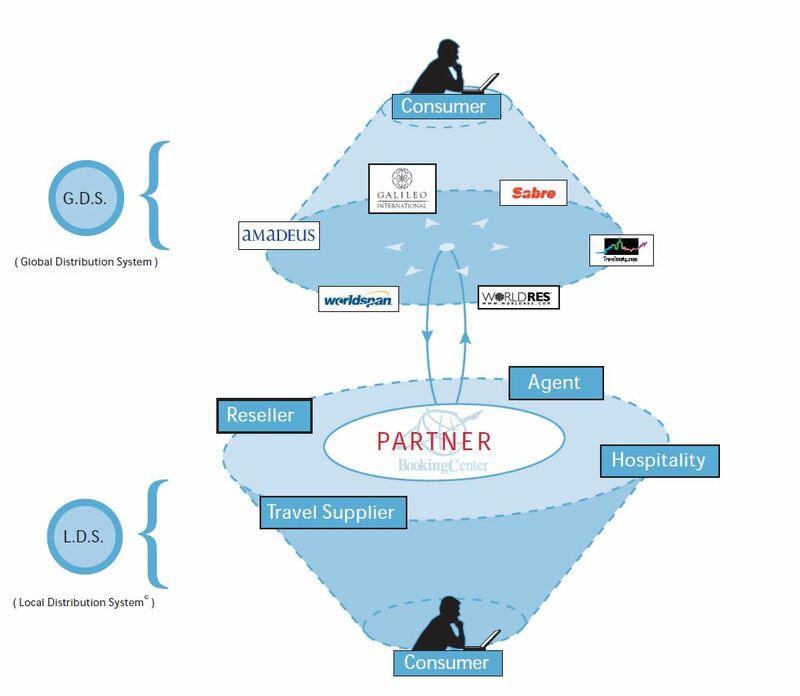 The LDS model can help a tight or loose group of accommodation service providers work in cooperation to cross market each other’s service. This may include a website portal for online bookings & requests, group marketing, operating a call center, or simply allowing members to make bookings for other members – a real-time referral network. How Does BookingCenter Help You Succeed? Browser and Desktop-based Management Software to manage a supplier’s business. Complete e-commerce integration supporting any currency. Member’s Area to manage bookings and guest communications. 11 Years of continuous service to the travel market. If you are interested in partnering with BookingCenter to create a Local Distribution System of your own, please contact us. Connect a BookingCenter Property Management System to hundreds of OTA Channels with automatic booking import and synchronized rate availability updates. All managed in your PMS with pricing and allocation tools for flexibility and control to multiple online channels. All Partners take advantage of time-tested tools and processes (over 12 years in production) that have been proven to run 24 x 7, secure and reliable booking businesses. The LDS is a technology opportunity proven to make money while serving your local community. Read our White Paper on Association’s central reservation systems to learn more and then contact us to learn how you can operate a BookingCenter Local Distribution System. Use any combination of full availability, part availability, or ‘reservation request’ services to support the differing technological abilities of individual members. Create local travel networks that reward and inspire participation. Incentivize Agents and Resellers to promote the network. Develop deep and profitable referral relationships within the network. Earn ongoing revenue through relationships – locally and globally. Invest in a proven, sustainable business model. We offer two ways of creating a custom Local Distribution System as an Association or Group. The fastest way to start and manage a complete travel business – from the Supplier through the GDS. An easy way to create a network using your brand name powered by BookingCenter. A completely customized business solution from branded desktop property management software to browser-based management software to Marketing and Management tools. The ‘Customized Partner’ solution is the only way to go for the ‘brand-oriented’ company or Destination Management Organization. Strategy: Develops travel portals under the Australian Holiday Guides brand; provides hotel chains and tourist authorities with booking, packaging, and management tools; distributes properties globally and via Australia agents & websites; advocates smart community travel models. Strategy: Leverage years of experience as a property management company with holdings in the Tahoe area and support competing businesses to improve the referral networking. Strategy: Aggregate independent lodging properties in the Caribbean to improve the practices and efficiencies of these tourism economies; build a consumer and travel agent travel brand. Built from over 14 years developing and supporting property management and central reservation services, BookingCenter’s tools and processes are time-tested and secure. A growing number of visitor centers, internet travel portals, and associations are installing BookingCenter to increase accommodation and tour bookings for their members. Our tools manage the day–to–day operations while distributing control and earning revenues through the Global Booking Network. The BookingCenter Central Reservation Service allows the LDS Manager, Agents, and Resellers to log-in for reviewing and reporting of all booking and fees within their ’network’. Additionally, each property in the network gains full access to a secure Member’s Area to manage their bookings and guest communications. If the travel suppliers are operating hospitality businesses, the Global Booking Network can publish the rates, inventory, and content of each property to the four GDS systems (Galileo, WorldSpan, Amadeus, and Sabre) as well as over 10,000 travel websites where customers are buying. 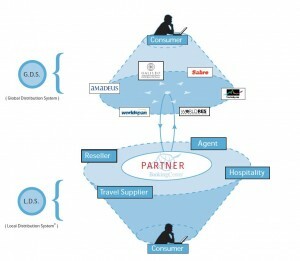 The partner usually derives a fee from bookings made through the Global Booking Network in addition to those transacted through the suppliers direct sites) and the LDS Portal websites). BookingCenter supports many business models and both confirmed and unconfirmed bookings. Each Partner receives access to a complete CRM system (Customer Relationship Management) allowing the LDS Partner to perform automated email and traditional marketing, e-commerce control and management, and registration/subscription management to their network of Suppliers, Agents, and Resellers. From anywhere! BookingCenter provides useful online reports on all e-commerce transactions through an LDS Portal, maintaining automated billing and marketing of registrations/subscriptions, visitation patterns, and supplier activity in your Network. Perfect for Call Centers and Reservation Agents.